Dar es Salaam—"haven of peace" in Arabic—is Tanzania’s largest city, commercial capital and East Africa’s most important port. 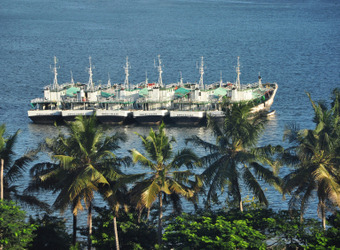 Founded as a fishing village in 1862 by a sultan from Zanzibar, Dar today reflects a succession of Arab, German, British and Indian influences coloring its native African heritage. Travelers will enjoy its scenic harbor, sandy beaches, historic buildings and, for the adventurous, a visit to frenzied Kariakoo Market. 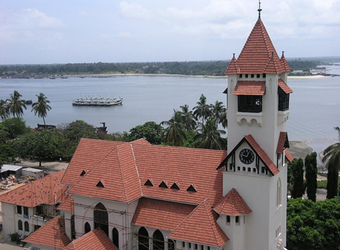 If you have some time to spare in Dar es Salaam, and a nice sea view hotel and fine restaurant aren’t enough to whet your appetite, this bustling port city has some interesting sightseeing options. One of the most intriguing stops is the National Museum, which houses the fossils of the “nutcracker man” excavated from Olduvai Gorge by Mary Leakey in 1959. This Pleistocene hominid earned his nickname from the skull’s large, intact molars, although he actually used them to chew grasses. 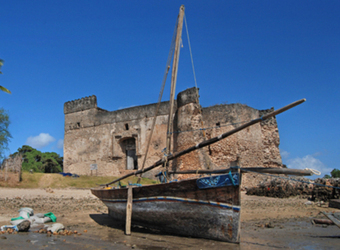 The museum also contains exhibits detailing the Kilwa Sultanate, which was a Shirazi civilization lining the coast of east Africa, the Arab slave trade, both German and British colonial history, and several antique cars and bicycles. On Sunday, try to squeeze into Saint Joseph’s Cathedral, built by German missionaries, to hear the sermon and singing and to view the original stained glass and inscriptions behind the altar. The botanical gardens are a beautiful stop. Dar es Salaam can serve as an international gateway for travelers visiting southern Tanzania’s Selous Game Reserve or Ruaha National Park, or starting or finishing a safari in Zanzibar, which is a short 20-minute flight away. Sometimes it simply links these areas to other parts of Tanzania, such as the Serengeti to view the migration, the iconic Ngorongoro Crater and the hub city of Arusha. Dar also links to other African cities, like Kigali, Rwanda and Nairobi, Kenya – view chimps in the Mahale Mountains, see enormous herds and fierce predators in Katavi, then travel via Dar to Volcanoes National Park in Rwanda or Bwindi Impenetrable Forest in Uganda for gorilla trekking. Or combine the remote and massive Ruaha National Park with the private conservancies of the Maasai Mara as well as Lewa and Laikipia in northern Kenya to view Grevy’s zebra and reticulated giraffe. When did you visit Dar es Salaam?